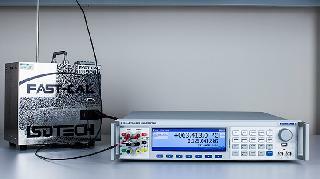 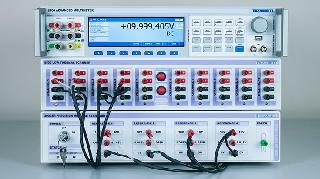 The 8100 Series from Transmille is the most advanced multimeter available on the market. 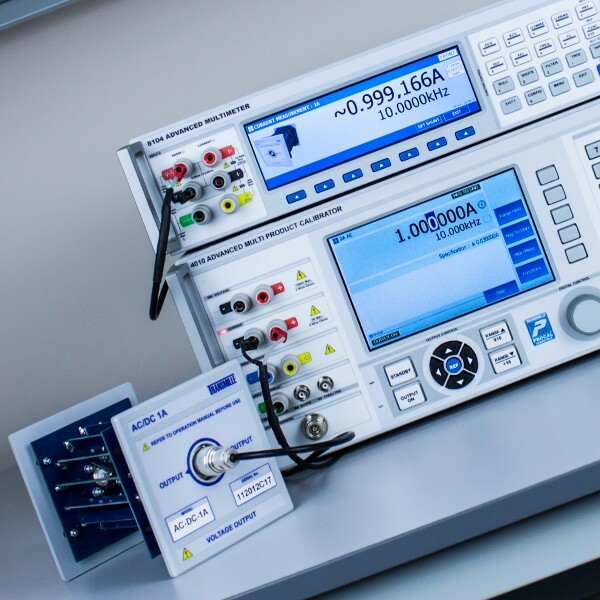 Featuring a full colour screen, the 8100 Series offers a wide range of functionality and covers a wide range of input parameters whilst achieving breakthrough performance. 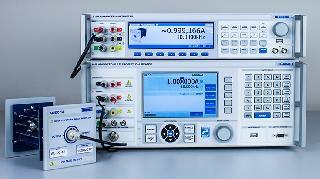 The 8100 is a significant improvement on previous technologies and remains at an affordable price point. 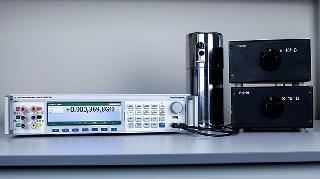 The 8100 Series is aimed at laboratories, manufacturers and design facilities requiring a wide range of measurement parameters with specifications as low as 4ppm. 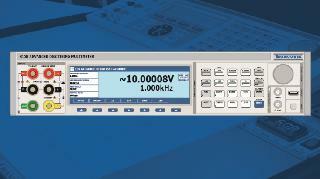 The 8100 is designed with metrologists in mind, with great care taken in the design of sensitive input electronics. 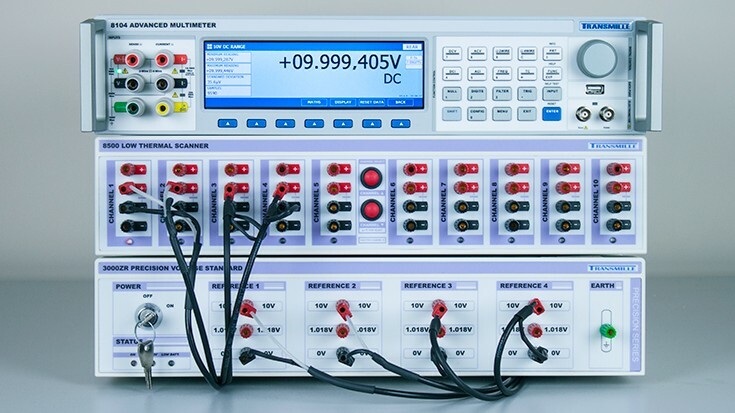 Ultra low input bias current on DC Voltage inputs minimise errors when utilised as a null meter with Resistive Dividers, and High Input Impedance on AC Voltage up to 10V reduces errors when measuring current through use of current shunts to enable the 8100 Series ensuring reliable measurements across multiple functions. 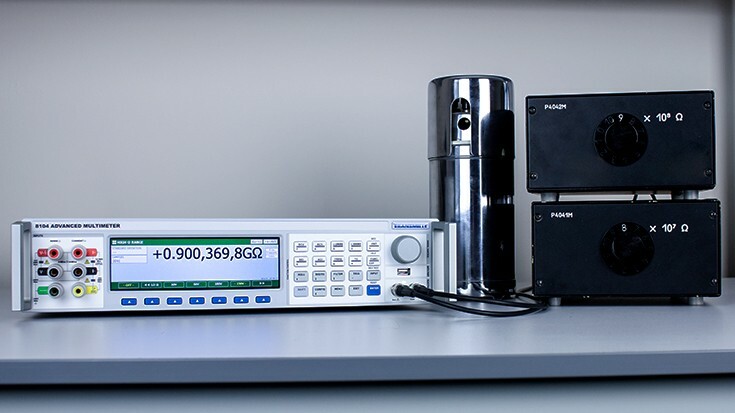 Dynamic display of accuracy, 8.5 digital precision, measurement uncertainty, standard deviation and more provide metrologists with immediate feedback of their measurement and enable users to maximise performance while improving confidence in measurements. 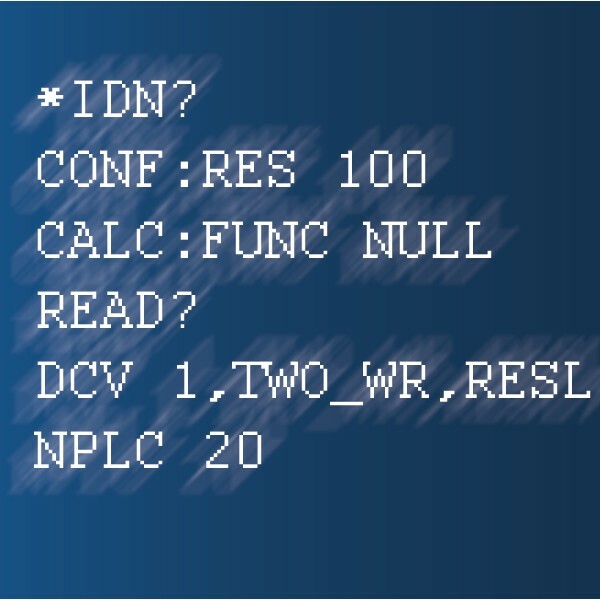 The 8100 Series features an advanced command set including emulation modes for popular remote languages. 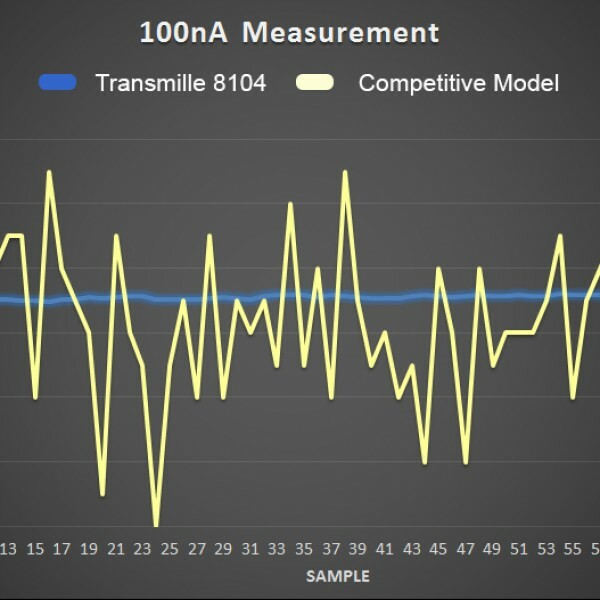 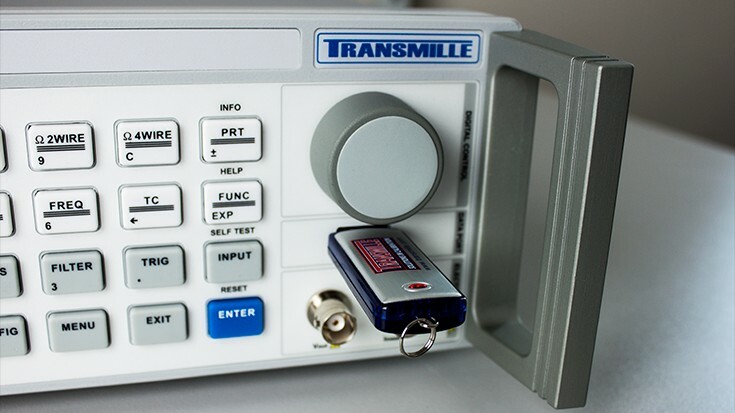 This enables the 8100 Series to be used with Legacy metrology software that does not yet support Transmille equipment. As with all Transmille products, compatibility with ProCal calibration software is guaranteed. The 8100 Series has been optimised for use with Transmille’s range of AC/ DC current shunts enabling DC and offset parameters to be entered in providing direct measurement of applied current on the screen. 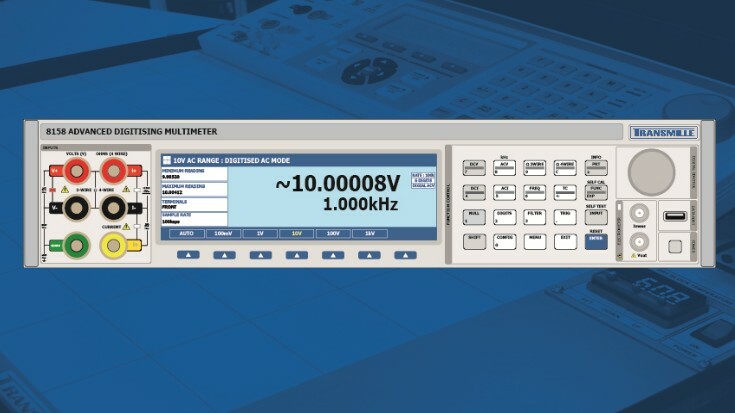 The 8100 simultaneously measures the voltage and frequency and performs a real time correction based upon the AC/DC difference at the current frequency and the value of the shunt. 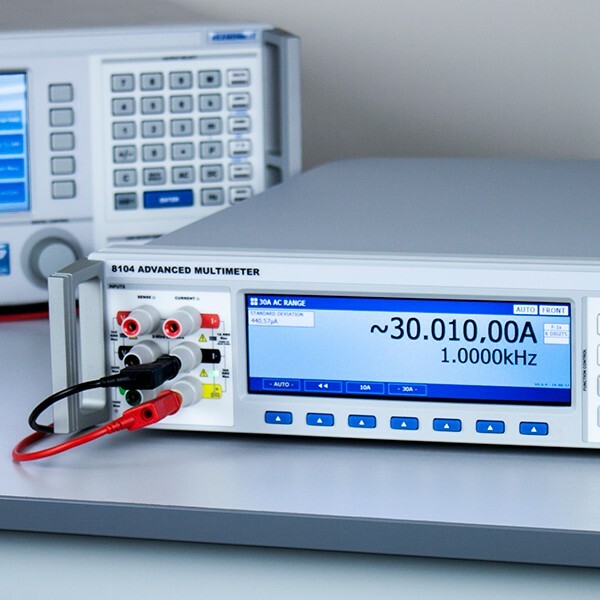 The high input impedance of the 8100 series below 10V AC removes the requirement for buffer amplifiers minimising sources of errors and simplifying connections.